"We’re starting to see people looking at drug use as a health issue as opposed to a criminal justice issue." In depth: Part two in a three-part series examining the opioid crisis in the city. Dr. Michelle Klaiman. Photo by Nikhil Sharma. 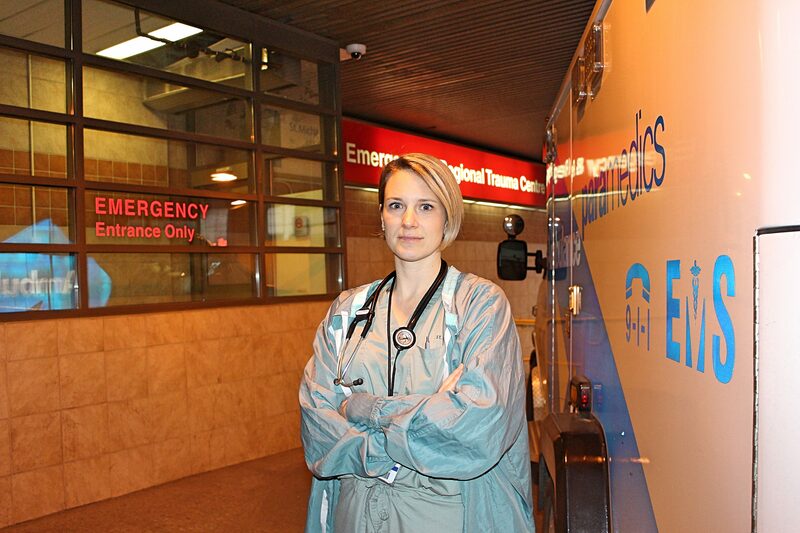 Two months ago, Michelle Klaiman, an emergency and addiction medicine doctor at St. Michael’s Hospital in Toronto, remembers treating a patient who injected himself, with what he had thought was heroin, five minutes before entering the emergency department. The man then collapsed while waiting at the registration desk, vomited on himself, and stopped breathing. He was immediately taken into the trauma bay, where there were two attending physicians, two residents, and three nurses who helped save the man’s life, said Dr. Klaiman. The man was resuscitated, given oxygen through a bag-valve mask, an intravenous line was placed, and he received naloxone, a safe medication that reverses the signs of overdose by blocking the effect of opioids in the brain. She said the man was awake and alert within minutes and was able to tell them that he had injected what he thought was heroin several minutes before entering the department for an unrelated reason (abscess). Dr. Klaiman said St. Michael’s Hospital is seeing more overdoses and projecting to use approximately 30 per cent more naloxone over the next year compared to last. On February 22, Dr. Klaiman recalls having treated three patients during the afternoon hours of a 1 p.m. to 8 p.m. shift. When asked if drug-testing would be helpful in treating overdoes at hospitals, Dr. Klaiman said urine and serum toxicology screens do not help in the immediate treatment of life-threatening overdoses. After doctors discuss the quality of drugs used, they talk harm reduction. They ask if the patient is using a clean needle and advise where they could find a naloxone kit if they don’t already have one. Known by the brand name Suboxone, buprenorphine is a maintenance treatment for opioid use disorder and is used off-label in the emergency department to treat opioid withdrawal, Dr. Klaiman said. But, there have been many cases where admitted patients leave the hospital against medical advice in order to use opioids. Dr. Klaiman gives an example of a patient who was admitted to hospital for treatment of endocarditis, which is a serious and potentially fatal complication of intravenous drug use requiring treatment with strong antibiotics. “The patient went into withdrawal and left hospital to inject heroin,” she explained. The patient returned several hours later but by that time had missed multiple doses of antibiotics. “Had they been offered treatment with Suboxone or methadone, or a safe place to consume their substances in the hospital, they may not have needed to physically leave the building to a potentially unsafe environment,” Dr. Klaiman said. She said opioid withdrawal is a predicted side effect of naloxone administration, which can be “an extremely unpleasant experience,” and because of that, patients are going to react differently. For the first time, hospitals in Ontario will begin tracking opioid overdoses on a weekly basis starting April 1. “Every hospital and public health unit will have access to the near real-time data, giving experts a more comprehensive understanding of what’s happening on the ground,” Minister of Health and Long-Term Care Eric Hoskins said in a statement to Torontoist. 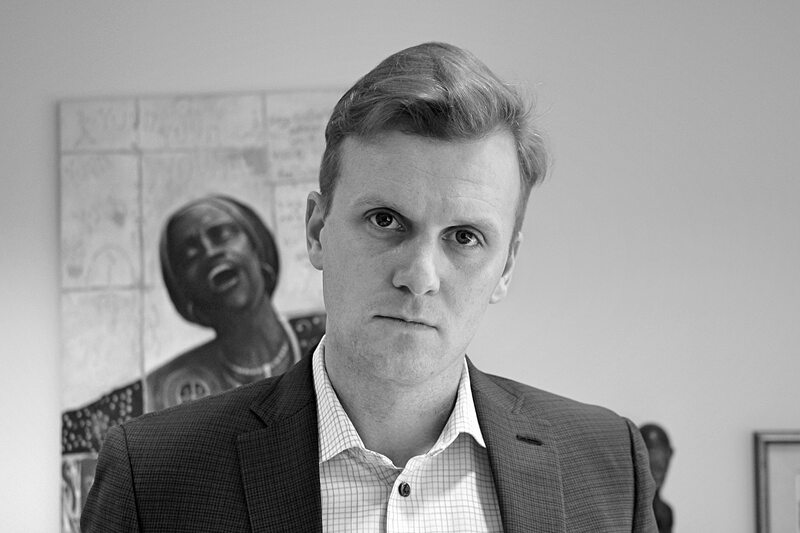 Joe Cressy, councillor for Ward 20, Trinity-Spadina. Photo by Nikhil Sharma. Councillor Joe Cressy, chair of the Toronto Drug Strategy, says the TDS has prioritized overdose prevention, harm reduction, treatment, and enforcement. Mayor John Tory, Councillor Joe Mihevc (Ward 21, St. Paul’s West), and Cressy spoke at the first meeting for the Toronto Overdose Action Plan, held at the Metro Central YMCA. Former and current drug users at the meeting expressed the need for access to and distribution of naloxone. Cressy also heard about the importance of “good samaritan” legislation, which is currently under consideration by the federal government. Amy Wright’s naloxone kit from Toronto Public Health. Photo by Nikhil Sharma. Cressy said the City is in conversation with the federal government right now on drug-testing. Shaun Hopkins, manager of Toronto Public Health’s needle exchange program, said drug testing was not part of the initial application for Toronto; however, they recognize the need and are currently investigating options. 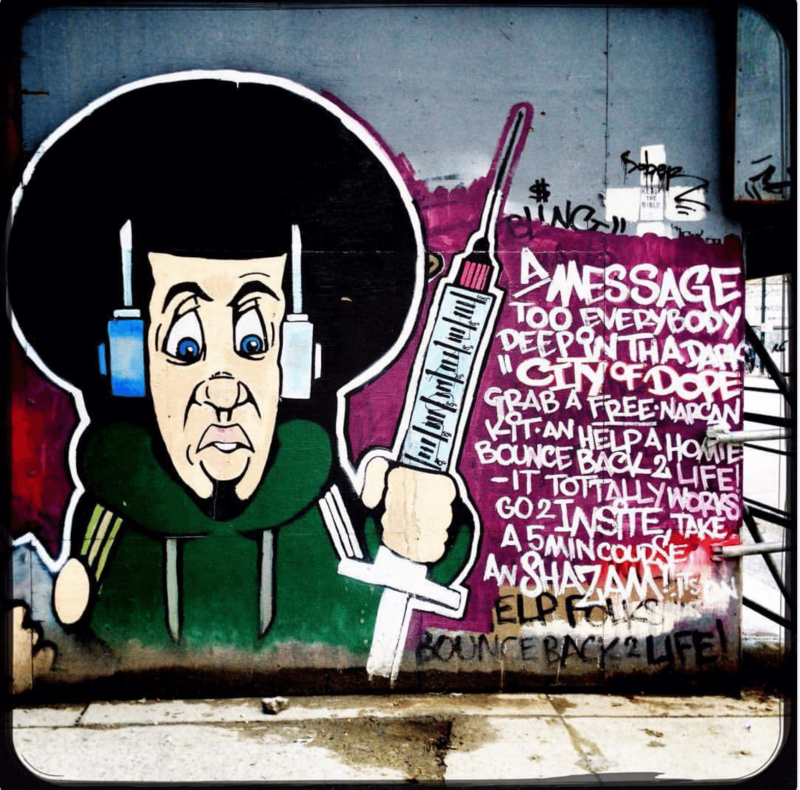 On March 20, the Toronto Board of Health unanimously approved the City’s first Overdose Action Plan. Toronto Public Health released an action plan on March 10 after public consultations, which included several recommendations to address the overdose crisis in Toronto. 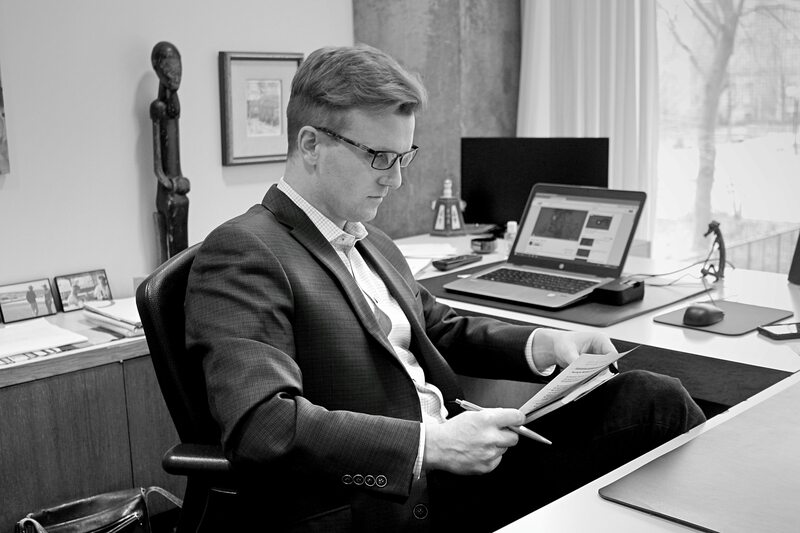 Councillor Joe Cressy in his office at City Hall. Photo by Nikhil Sharma. Among the recommendations is the expansion of access to naloxone within the community and correctional system. It should be readily available to frontline staff working in all harm reduction services, shelters, and drop-ins. The plan proposes that naloxone should be offered by emergency departments and other health services to those with a history of opioid use. It also suggests exploring prescription heroin or hydromorphone as a treatment option for those addicted to opioids through the Methadone Works program. The plan also calls for training for city staff working in service providers, such as shelters, libraries, or transit stations, on how to respond when overdoses take place. Prisons and housing programs, such as Toronto Community Corporation buildings, were suggested by participants surveyed where naloxone should be available. Ontario ran a pilot program at two prisons where those who were identified to be at risk for overdose were given naloxone when they are discharged—a program that is expected to be implemented to all prisons within the province, according to the plan. Access to naloxone was expanded to pharmacies across the province in June 2016, where a prescription is no longer be needed, and there is no cost. However, the plan reports that some participants made the important point that people may fear the stigma associated with opoiod use when naloxone is on their health record, so they should not have to show a health card. 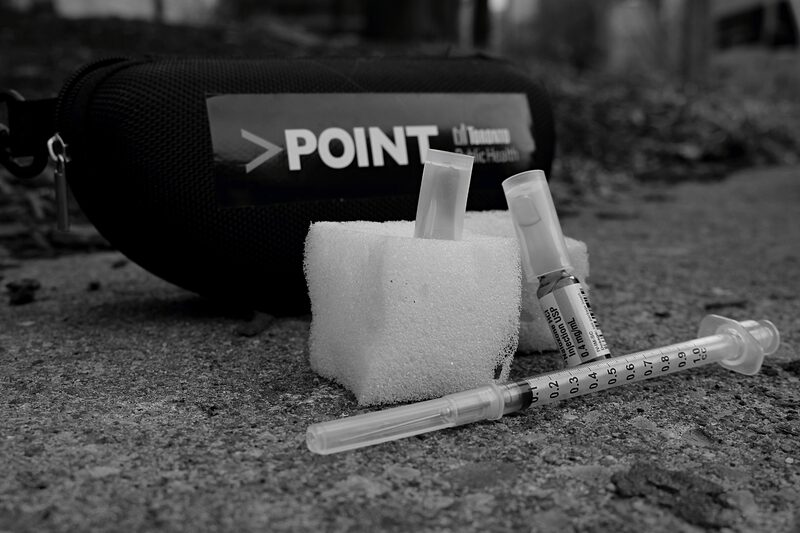 Paramedics in the city carry naloxone; previously, only 30 per cent of paramedics had the antidote in their kits. Currently, it is not carried by Toronto Police officers. Toronto Public Health and 46 community agencies provide harm-reduction supplies at more than 80 service locations across the city. There were nearly 139,000 client visits to these programs last year, according to preliminary data. The program would involve drug checking at the three injection sites and the TRIP! Project, which offers harm reduction services in the nightlife and music festival community. However, the plan states that there were a lot of questions on the effectiveness of the intervention from survey respondents, including, how drug checking services would work, how long people would have to wait to have their drugs tested, and if people would give up part of their drug supply for testing. In a release, acting medical officer of health Dr. Barbara Yaffe said a funding request for additional resources to help support the plan will be included in Toronto Public Health’s 2018 Operating Budget Request for consideration as part of the City’s 2018 budget process. Cressy wants those who are on the frontlines, who know the solutions, to be part of developing them. Cressy also mentioned that users of the sites will not be forced to undergo treatment, rather those resources will be available if they’re ready. “The alignment here is that by having increased points of contact between the person who’s using drugs and the health professional, you increase the likelihood that they’ll be interested and willing to access those [treatment] services,” he said. Toronto councillor Kristyn Wong-Tam. Photo by Nikhil Sharma. 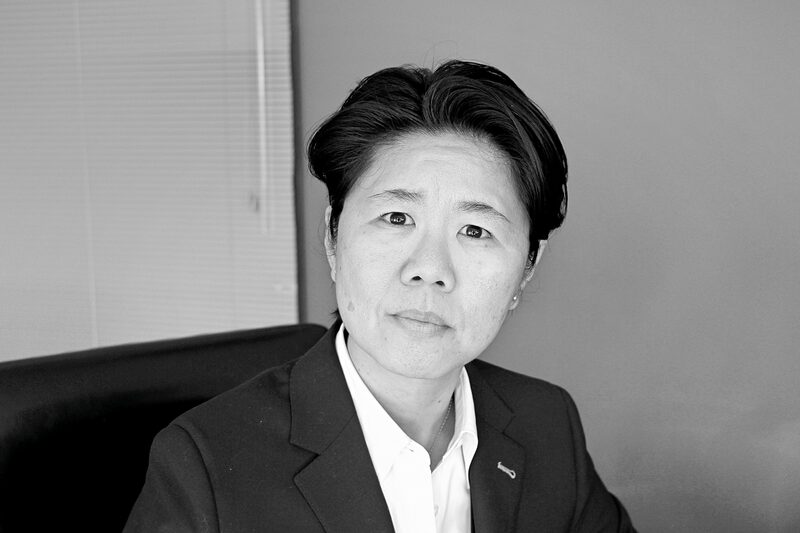 Kristyn Wong-Tam (Ward 27, Toronto Centre-Rosedale) said residents are very happy to know that drug users will be getting more assistance with safe injection services. But even without the safe injection services, she says the community has been saying for some time that they really want to have a holistic approach to health services that will not just treat their drug consumption habits. “We want to make sure that people have the tools to be successful and that would include mental health support, addiction counselling, stable housing, access to emergency shelter beds if they need it, employment counselling, and overall the right type of medical care assistance,” Wong-Tam said. Wright is on a committee that is helping to design the new safe-injection sites. 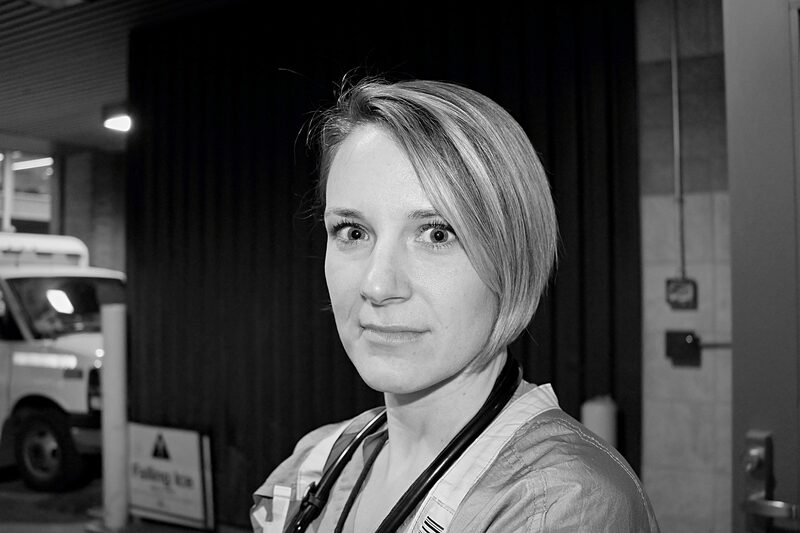 She is also on the Registered Nurses’ Association of Ontario panel for best practices in safe injection sites and sits on the University of Toronto’s overdose prevention study panel. For a 15-week contract as a peer assistant worker at the Works, she packed clean supplies for shipment to the different centres in Toronto that provided safe supplies for drug users. During that time, she was asked to sit on the panel as a peer assistant to design the safe injection site that will be going into the Works. This was where she was able to bring her life experience to the table and offer a perspective on what she saw when she visited Vancouver’s Insite. “I had the opportunity to experience a safe injection site and the benefits as a client and witness how much more helpful that has been to my recovery than anything I ever did that was abstinence based,” she said. Amy Wright at Ryerson University. Photo by Nikhil Sharma. One thing Wright recommended was the use of wheeled garbage pails for people who have a bad reaction and vomit in the safe-injection site. She also mentioned there is a need for backup power in case there’s a power loss. “Not so much so that people could continue to use the safe injection site but for those already in the middle of their injections,” she said. 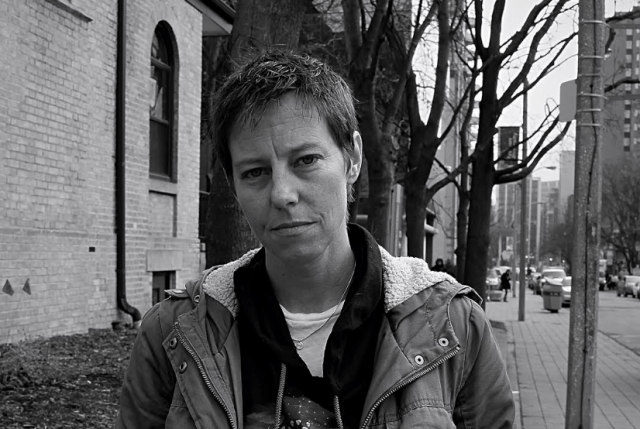 Wright spent two years on Hastings Street, on Vancouver’s Downtown Eastside, from February 2010 to October 2011, where she and her girlfriend, Marie, were both regular users of Insite, which is where she learnt how to cook the drug properly. For Wright, it started as a once-a-month shot on weekends from opiates. But in Vancouver, it became an everyday habit, as she also became addicted to heroin for two years. During cheque week, her use would triple until the money ran out, then back to once a day. She didn’t know the safety procedures, and six months into her heroin use, Wright saw her girlfriend overdose seven times at Insite, where the staff saved her life—something she wouldn’t have been able to do if they were on the streets alone. Each and every time, a group of them pounced on her with Narcan, oxygen, and a supportive hand. A typical day for Wright in Vancouver when she was a frequent drug user would be focussed on getting $10 to buy a hit. Opened in 2003, in Vancouver’s Downtown Eastside, Insite is North America’s first legal supervised injection site. Photo via Vancouver Coastal Health. Wright would also hunt the streets of Vancouver for roaches, something she did a bit of in Toronto, to then sell joints at five bucks a joint. “I could usually survive off of that,” she said. Occasionally, she found jobs that would give her a weekly or biweekly cheque, or the once a month assistance cheque, and when she had money her use increased. Sometimes uncontrollably, she said. Wright would then go to Insite, which would open at 10 a.m. and use her street name, “Amz,” to get a booth. She would then get supplies, go to her booth, put some powder into a spoon with some water, and start cooking. “Just pulling it up and injecting, looking for that vein, and pushing through,” she said. Between the hours of 6 a.m. and 10 a.m., dope wouldn’t be impossible to find on Hastings Street, but hard, she said. Street art from Vancouver’s Downtown Eastside. B.C. declared a public health emergency in April 2016 after a surge in overdose deaths related to opioids such as fentanyl. More than 900 people died of overdoses across the province in 2016, with December the worst month on record, with 142 deaths. Photo via @InsitefulVancouver‏. Wright said there would be about 20 drug dealers on the street, and if one got arrested, there were always people there to handle it. She said she did her best to stay away from police seizures. She said dealers never work alone, and have other people hold the money and the drugs, keeping an eye out for police. It’s a big business on the east side of Vancouver’s downtown area, she said. The most trouble she got into was for trespassing. She recalls sleeping in a stairwell and someone calling the police on her girlfriend because they were screaming and fighting at 4 a.m. on the streets. Wright says she may have spent about $50,000 on drugs, and adds that it’s really scary out there right now. She doesn’t know if she would have survived the current fentanyl crisis on the streets today. Councillor Giorgio Mammoliti (Ward 7, York West), who was one of three councillors along with Christin Carmichael Greb (Ward 16, Eglinton-Lawrence) and Stephen Holyday (Ward 3, Etobicoke Centre) to vote against the sites, said the use of the sites will have a negative impact on any community on which it is imposed. “I guarantee that even if all the residents—other than the usual professional activists—come out overwhelmingly in opposition to safe injection sites, their voices will have zero impact on the decision to impose a site on their neighbourhoods,” he told Torontoist. Toronto City Hall council chambers. Photo courtesy of City of Toronto from the Torontoist Flickr Pool. When asked about whether or not safe injection sites should be operating out of hospitals, Dr. Klaiman said the more places that can provide people with lifesaving resuscitation and, if they need it, access to naloxone, addiction services, and clean supplies, the better. While he supports the concept of safe injection sites, Mammoliti doesn’t believe it’s the right way to approach the use of illegal drugs, adding that “commercial and residential areas are not the right places. Safe injections should and must be situated inside hospitals,” he said. Wright said supervised drug-injection sites will be extremely helpful during the winter because they are dealing with needles, veins, and arteries. Access to clean water can be a challenge when using on the streets during the winter, Wright said. In part three of the series, Torontoist will look at Wright’s experience with the shelter system in Toronto, and examine how supervised-injection sites are not accessible to those living in the suburbs. Correction: An earlier version of this article identified Amy Wright as having worked at Vancouver Insite. She was a client at the safe injection site her entire time in Vancouver. Torontoist regrets the error.